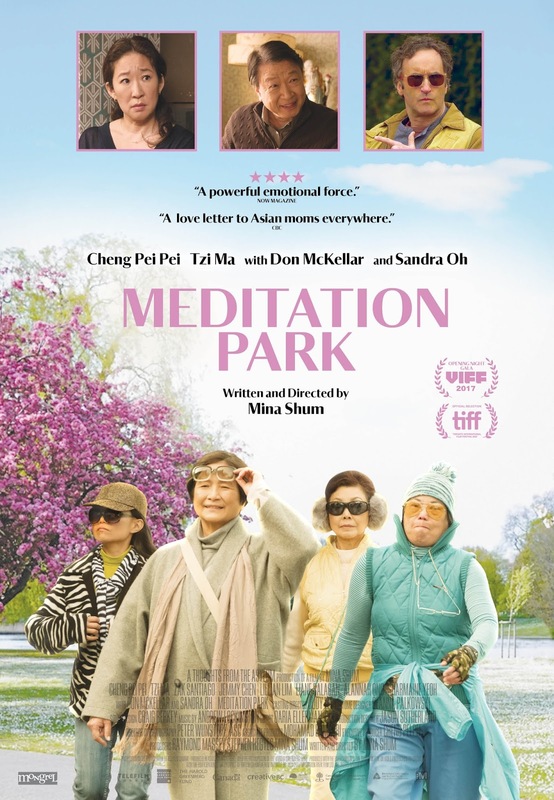 Mongrel Media's Meditation Park stars Sandra Oh and Liane Balaban, and you could win a prize pack consisting of a run-of-engagement pass to see the movie, plus an autographed poster by writer/director Mina Shum! Meditation Park opens March 9th, 2018 in Toronto and Vancouver, and in other cities throughout the Spring. Via Facebook: LIKE & FOLLOW our Facebook page and leave a COMMENT on the Facebook contest post to tell us the name of Mina Shum's directorial feature debut. Also, don't forget to mention which city you're entering for! Click here to enter. Via Email: EMAIL thereelroundup@gmail.com using the subject line 'Enter Me to Win a Meditation Park Prize Pack', and provide your full name, email address and mailing address in the body of the email.